Tomorrow, Tuesday March the 17th marks Saint Patrick's Day, an event which is celebrated in many countries across the world. As well as celebrating the Irish saint, the day also commemorates the arrival of Christianity in Ireland. Saint Patrick's Day celebrations are varied and take place in Ireland, Northern Ireland, Canada, the UK, the US, Argentina, Australia and New Zealand. Numerous public parades and festivals take place with many people wearing distinctive green articles of clothing with shamrock symbols as a means of paying homage to Irish culture and heritage. As Lenten restrictions on drinking alcohol come to an end on this date, Saint Patrick's Day has come to be synonymous with a general degree of booziness as well with the custom of consuming several pints of stout becoming common practice. 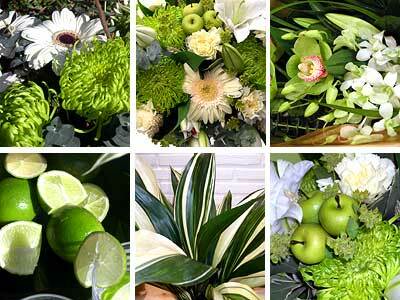 Sending flowers to a loved one is a great way of celebrating Saint Patrick's Day and for this special occasion, we would recomend our Green Flowers Collection. This unique arrangement consists of the freshest green seasonal flowers, perfect for paying tribute to the Irish patron saint. As with all our various coloured flowers collections, this bouquet is completely unique and is made up of only the freshest seasonal flowers so can be completely different depending on which time of year you order. Free standard next day delivery is included in the price of £32.99 with your bouquet sent in our signature Clare Florist flower delivery box to ensure it arrives in flawless condition. Be sure to stay tuned to the Clare Florist blog for more posts on St Patrick's Day including more historical information on the holiday and St Patrick himself!